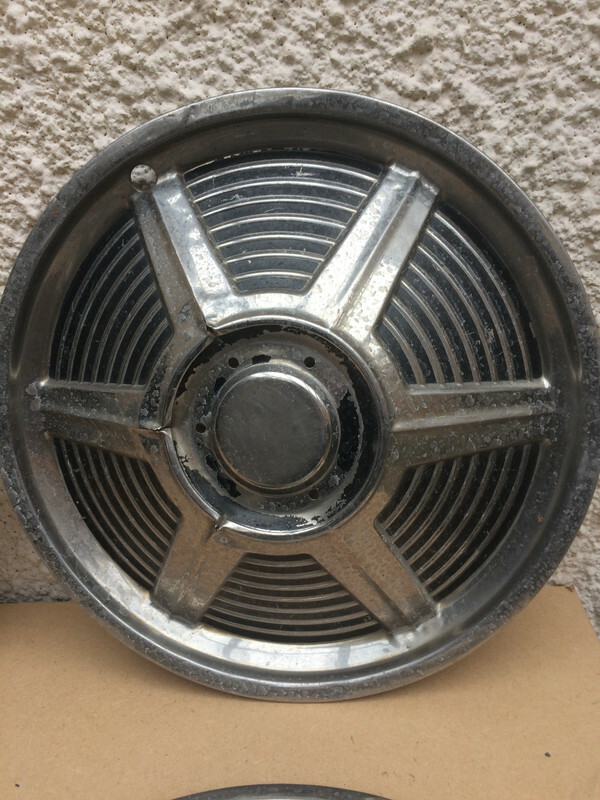 First Generation Mustang Original Wheels, Tyres and Hubcaps from a 1966 6 cylinder Coupe for sale. 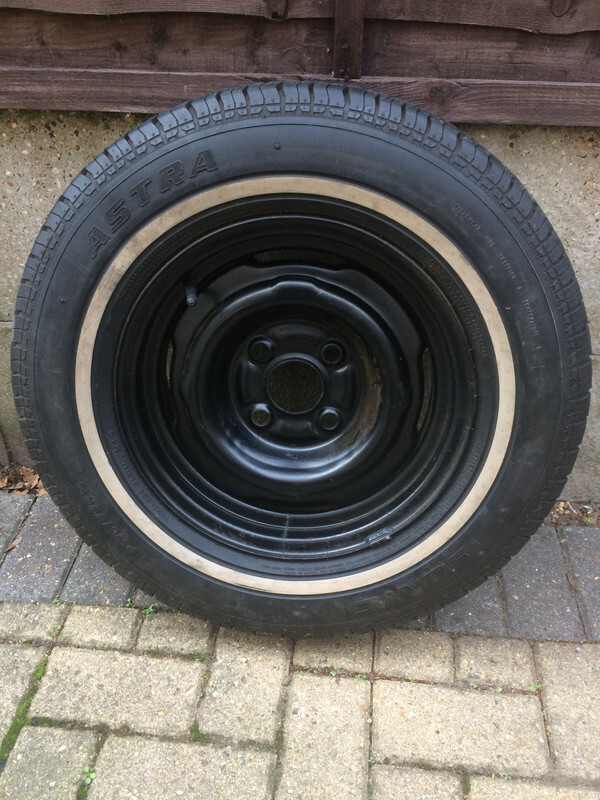 Wheels are 4 stud 14" steels with 195/75 x 14 tyres and original genuine hubcaps. 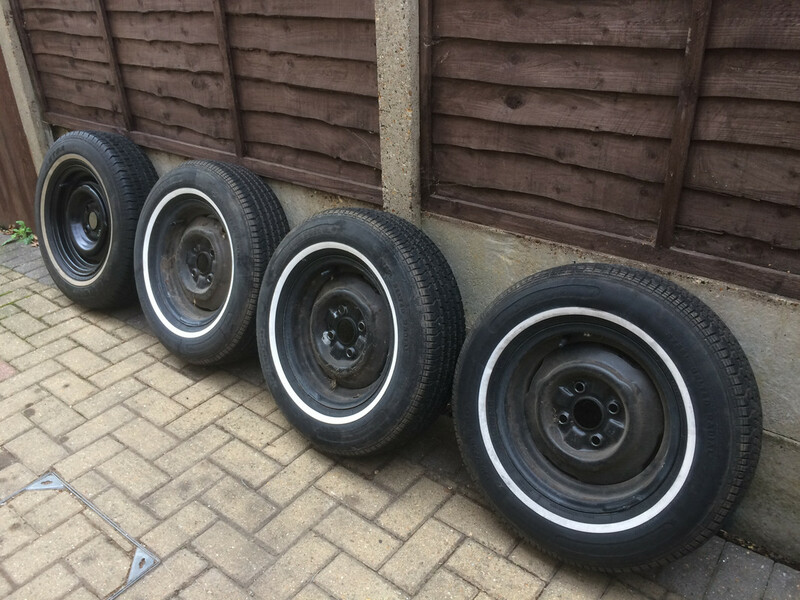 All tyres are whitewalls, 3 are made by 'Custom' and the 4th is an 'Astra'. 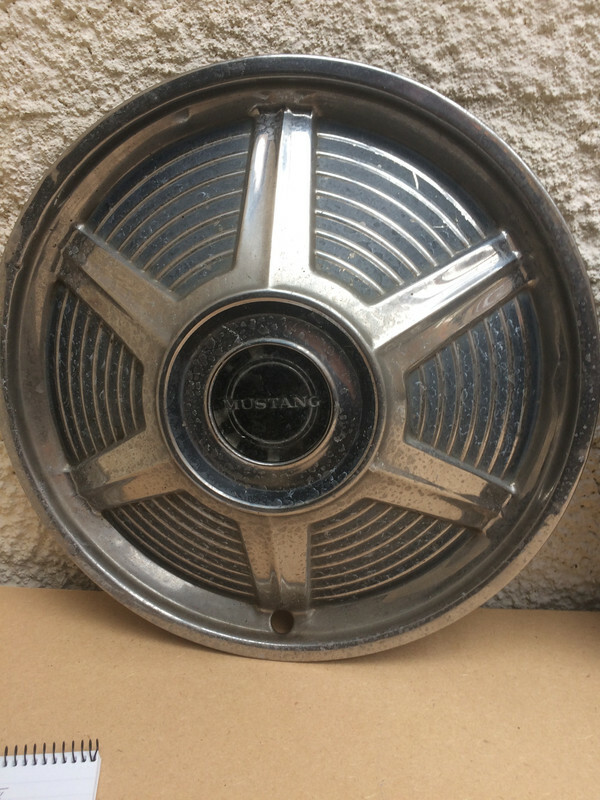 These were fitted to my Mustang when purchased in California a few months ago. 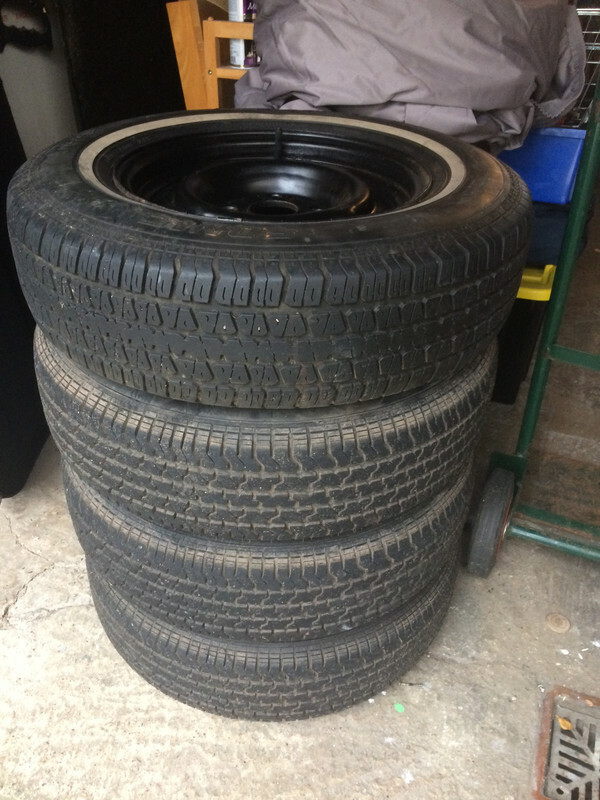 All the tyres have 4-5mm of tread but they are not new. A receipt with the paperwork I got suggests they were bought in 2005 in California. One tyre has a very slow puncture.